Frieda Lewis steps into a new role as the group's Chief Commercial Diversity Officer. 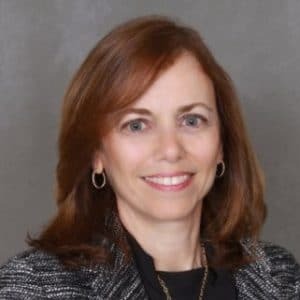 Broadridge Financial Solutions, Inc. (NYSE:BR), a provider of investor communications and technology-driven solutions for broker-dealers, banks, and mutual funds, has promoted Frieda Lewis to Managing Director and Chief Commercial Diversity Officer with immediate effect, per a company statement. Ms. Lewis originally joined Broadridge back in 2008, having since focused for the past eight years on the group’s Global Relationship Management. In her new role her mandate will help advance the company’s diversity and inclusion efforts via a comprehensive strategy – she will still be based out of New York. Her new role expands on her existing responsibilities, which has seen her coordinate global relationships across multiple lines of business. Prior to joining Broadridge in 2008, she also worked at other stops, including IFMG Securities Inc and Fleet Financial Group, among others, dating back to 1986. “Frieda will help Broadridge build on its progress in integrating diversity into every aspect of our business – including our workforce, clients, suppliers, products, and services—to improve our relationships with clients and prospects, and the overall client and stakeholder experience,” he explained.